In 1948, the international community, through the United Nations Declaration on Human Rights, affirmed that each and every one of us should have access to a number of fundamental human rights. Decades later they agreed that children, by virtue of their particular vulnerability to exploitation and abuse, must be granted special protection and additional rights. In 1990, the Convention on the Rights of the Child (CRC) entered into force. It quickly became, and remains to this day, the most ratified human rights treaty in history. 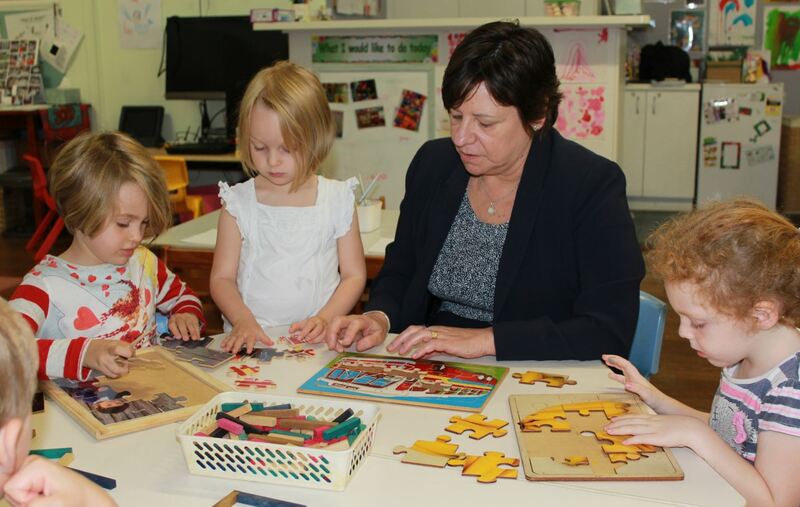 The Early Years Learning Framework for Australia acknowledges the CRC as providing the principles upon which the practice of early childhood educators should be based (DEEWR, 2009). Through the CRC ‘the world made a promise to children: that we would do everything in our power to protect and promote their rights to survive and thrive, to learn and grow, to make their voices heard and to reach their full potential’ (UNICEF, 2014). In Australia, most children and young people grow up in a safe, healthy and positive environment. Unfortunately, however, there are some that do not and for these children, the full realisation of their rights remains a challenge. It is my role, as National Children’s Commissioner, to promote understanding of, and respect for, children’s rights and to advocate for the realisation of rights that have not yet been achieved. In the most recent review of Australia’s progress in fulfilling our responsibilities under the CRC in 2012, the United Nations Committee on the Rights of the Child expressed concerns that children experiencing homelessness, mental illness, children with disability, children in immigration detention and Aboriginal and Torres Strait Islander children are particularly vulnerable to having their rights as children violated (UN Committee on the Rights of the Child, 2013). Throughout their early development, children begin to make sense of the physical, social and cultural dimensions of the world. It is through these early learning experiences that their thinking and values begin to be shaped. It is critical that as significant influencers in children’s lives, early childhood professionals seek to instill the behaviours, competencies and values considered important by the wider community. Early childhood environments provide the ideal setting for children to learn about their rights and develop respect for those around them. Acknowledging this, and based on extensive consultation with the early childhood sector, the Australian Human Rights Commission has recently developed its first series of early childhood education resources. 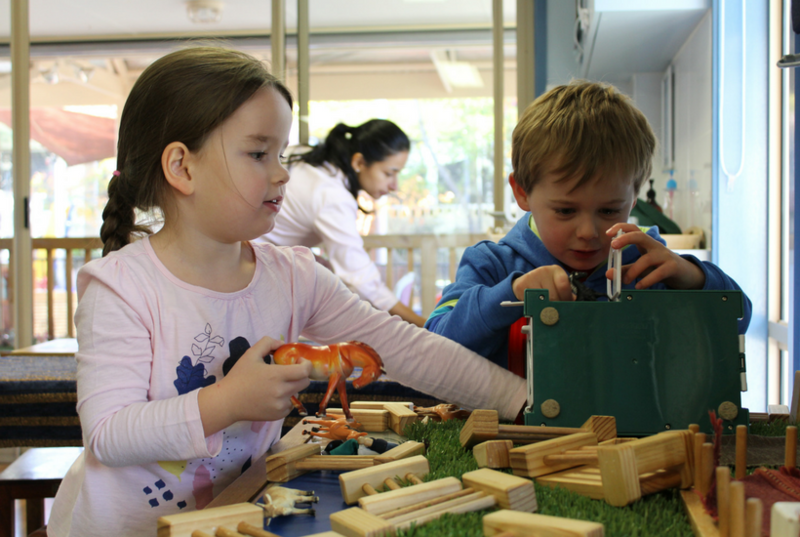 Building Belonging was launched at Early Childhood Australia’s conference in October. 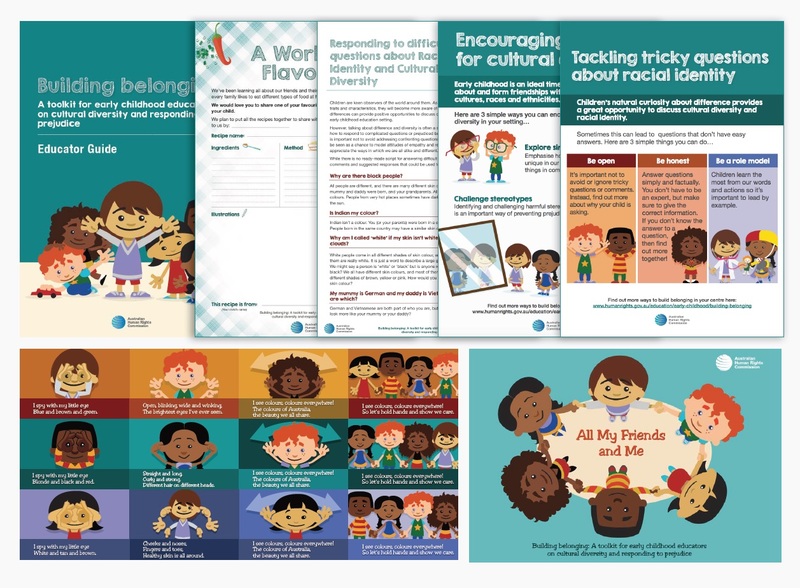 It is a comprehensive toolkit of early education resources which includes an ebook, song with actions, educator guide, posters and lesson plans focused on encouraging respect for cultural diversity and tackling racial prejudice in early childhood settings. Teaching respect for cultural diversity will assist children to learn about their cultural background, develop a strong sense of self-identity and wellbeing, appreciate difference and recognise universal characteristics we all share. This will ultimately result in a more respectful and equal world where the realisation of human rights of all children is respected, protected and promoted. This article was first published in Every Child, Vol. 22, No. 4, 2016 available for purchase on the ECA website. The entire Building Belonging toolkit can be downloaded free at: http://humanrights.gov.au/building-belonging. Relations (DEEWR) for the Council of Australian Governments. (2009). 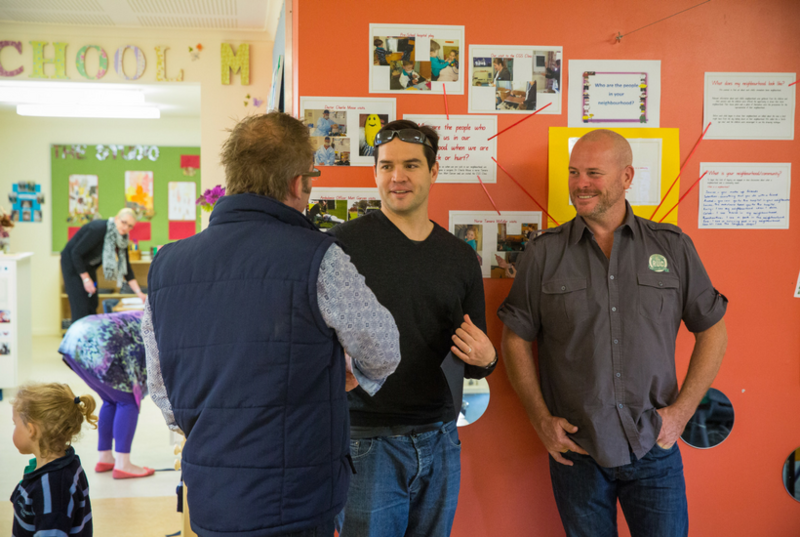 Belonging, being and becoming: The Early Years Learning Framework for Australia. Canberra: DEEWR. UNICEF. (2014). Understanding the CRC. Retrieved 8 September 2016, from www.unicef.org/crc/index_understanding.html. United Nations (UN). (1989). Convention on the Rights of the Child. Opened for signature 20 November 1989, 1577 UNTS 3 (entered into force 2 September 1990). New York: UN. United Nations (UN) Committee on the Rights of the Child. (2012). Concluding observations: Australia, UNCRC, 60th session, UN Doc CRC/C/AUS/CO/4. New York: UN.